Pvt. Pearl L. Fuller, daughter of Mr. and Mrs. W. R. Dill; wife of J. O. Fuller. 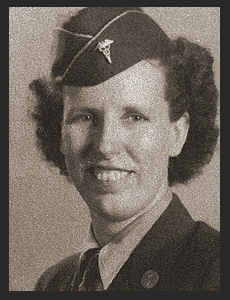 Entered Wacs in Jan., 1944, trained in Ft.Oglethorpe, Ga. and Boston, Mass.